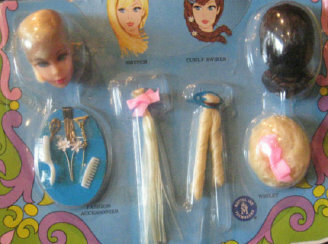 Hair Fair Set never sold with a body. 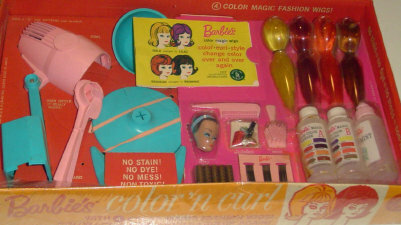 #4038 Color 'n Curl and #4039 Color 'n Curl Hair Fashion Fun Kit (1966) Both sets came with a fashion queen head. #4039 had two wigs and did not have a hairdyer. #4035 Color 'n' Curl from 1965 came with two heads; Barbie and Midge.